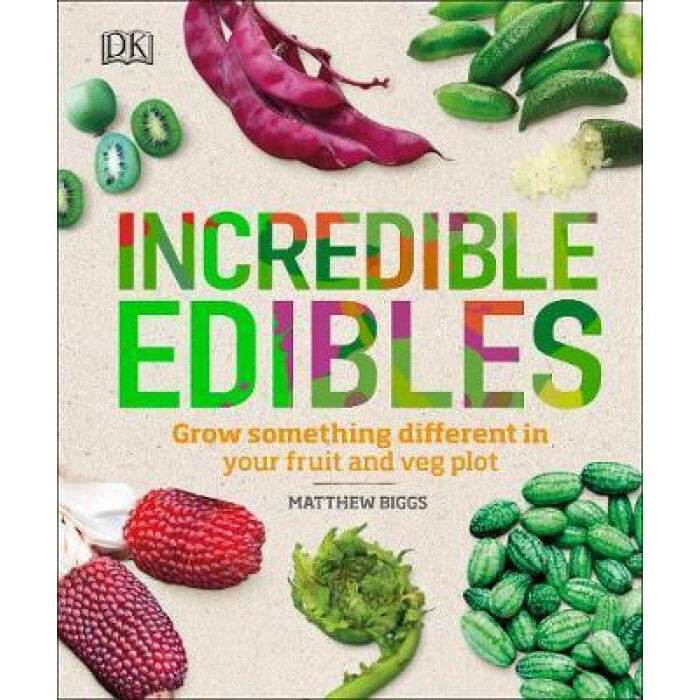 Be inspired to cultivate and cook amazing new crops with this seed-to-plate guide to more than 50 out-of-the-ordinary edibles. Whether you're new to grow-your-own and determined to make the most of limited space with a truly gourmet harvest, or a seasoned grower looking to spice up the kitchen garden with brand new flavour experiences, Incredible Edibles has something for everyone. It offers step-by-step instructions, giving you the confidence to grow some unusually tasty crops; from the well-known turmeric and goji berry, to the more exotic cucamelon and strawberry spinach. It includes guidance on how to store, keep fresh, and preserve your crops so that nothing goes to waste.